As gardeners, we know that iron chlorosis is a yellowing of plant leaves. But it is as important to understand why this is happening. Thus, this yellowing is caused by iron deficiency, an issue that is more present usually in high pH soils. However, we also need to rule out other causes, to make sure we have the right treatment. Thus, the yellowing of the leaves could also be a symptom of insects, fungi diseases or a history of overwatering. 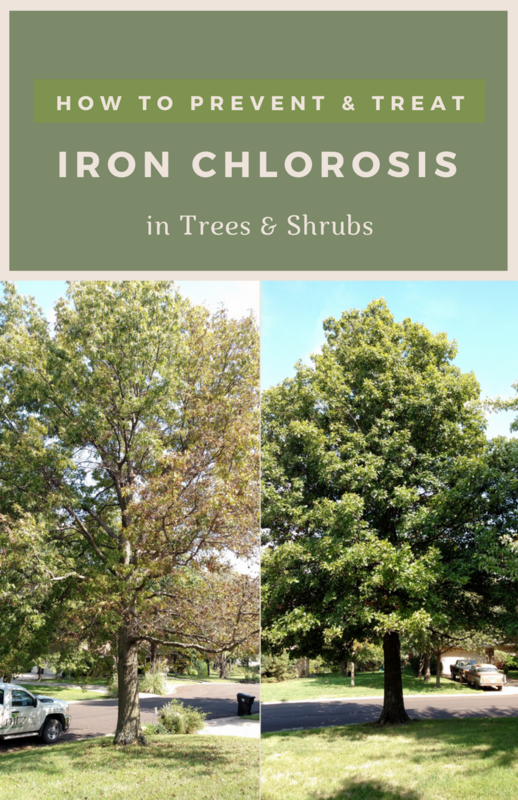 Keep on reading and find out more information on how to prevent and treat iron chlorosis in trees and shrubs. Now, if you already ruled out the before-mentioned causes, it is time to also test your soil to see if the pH is above 7.0 to 7.5. Thus, this is an indication that if the pH is high, then iron deficiency is likely to be your problem. Furthermore, this yellowing is showing up on the leaves in a yellow color with a network of dark green veins. Moreover, in more serious cases, the iron chlorosis may cause the veins to turn yellow and the leaf may display a white discoloration. Another sign of this iron deficiency is the scorched outer edges of the leaves. These being said, you also need to know iron chlorosis is not present only on the leaves, it can show up on an individual branch or on the entire tree. So we need to make sure we are treating it completely. This application is best for treating individual trees and shrubs or small areas in a landscape. The best time to do this would be in the fall or early spring. Thus, you need to prepare a mixture of equal parts iron sulfate and sulfur to produce lasting results. I like this DIY because is relatively inexpensive. All you have to do is select an inorganic iron and a ferrous sulfate. Regarding the areas of small shrubs in a garden, you can treat them equal parts ferrous sulfate and elemental sulfur. All you need is a hose to apply one inch of the ferrous sulfate-elemental sulfur combination. You will need to do this on the bottom of the trench and then start filling in the remainder of the trench with soil. How does this work? Well, the acidification of soil in combination with the iron sulfate will maintain the iron levels in a form your plants can absorb. Then, the roots will start growing into the areas you treat. The best part of it is that you only need to apply this treatment once in 2-4 years because this is how long it will last. Thus, you can also use some iron chelates as a soil treatment for iron deficiency. However, the effect is temporary because it will last only a year. Don’t stress out, though, there is an iron chelate that works well under high pH soil conditions and this is the one that contains the FeEDDHA molecule. 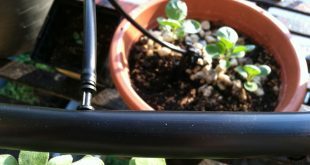 hence, you can use this solution in the spring before your plants begin to grow. You can apply the dry chelate on the soil surface by sprinkling and then irrigating it in. Another method you can turn to is by dissolving the chelate in water and then applying it to the soil. This will only work on leaves of affected plants because you have to spray the solution directly. Furthermore, I like this treatment best because it will produce a quick response. Thus, your plants should show an improvement in a matter of days. You can make a solution with a 0.5% of ferrous sulfate by dissolving in 3 gallons of water. Now, the best time to apply this is in the evening or on a cool, cloudy day to prevent leaf burn. You can also add a few drops of liquid soap if you want to help the solution adhere to the leaves.